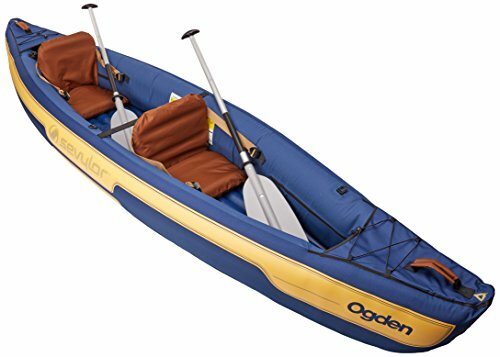 There are several reasons why the Coleman Ogden is the best inflatable canoe. For one thing, it’s made of heavy-duty PVC (which makes it durable enough for lake use) and has a double-threaded Boston valve to make inflation and deflation fast and easy. To protect against punctures, the canoe has a polyester cover as well as multiple air chambers that allow the watercraft to stay afloat even if one chamber gets punctured. There are even storage areas where you can secure your gear using bungee ties! You can bring this canoe home for less than $400. One of the best things about this watercraft is that it combines the sturdiness of a canoe with the maneuverability of a kayak, which makes it ideal for both hunting and fishing. 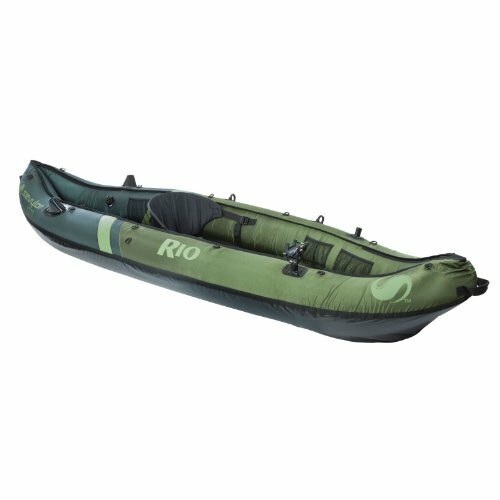 It’s made of 18-gauge PVC, which is paired with a 420D nylon cover and a double-hull design to ensure the canoe is strong and rugged enough to face rough waters. It measures 9' 10" by 3' 1” and can hold up to 350 pounds, allowing you to bring your desired fishing gear. Bring it home for around $200! 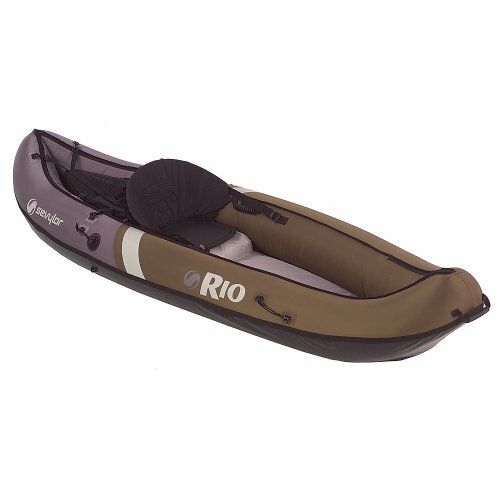 Just like its cousins, the Coleman Rio 1-Person Fishing Canoe is has an 18-gauge PVC construction and comes with multiple chambers to ensure it stays afloat even if one chamber leaks. But it doesn’t stop there! It comes with an 840D nylon cover and a 1000D tarpaulin bottom for extra protection against punctures, and it’s certified by the NMMA to carry a maximum of 350 lbs. It also has a paddle holder, adjustable seats, mesh storage pockets, and a Berkley Quick Set Rod Holder for hands-free fishing. It’s all yours at less than $350. Made of heavy-duty PVC, this canoe measures 130 x 32 x 23 inches when fully inflated and can carry up to 364 lbs. It has three air chambers (two in the hull and one in the floor), an I-beam inflatable floor that contributes to its sturdiness and stability, and a high-pressure valve that promotes quick inflation and deflation. 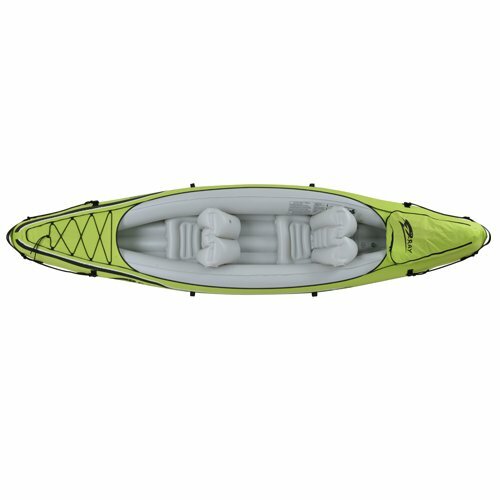 Buy this at less than $200 and get not just the canoe but also a paddle, an inflation pump, two inflatable seats, and a boat cover. With a durable PVC construction, semi-rigid I-beam floor, and a multiple-air-chamber design, this canoe can stay stable and leak-free even in rough waters. It comes with a fixed rear seat plus a removable middle seat, so you can ride it on your own or bring a friend with you. Grab this for around $160 and get a foot pump, a carry bag, a paddle set, and a repair kit. 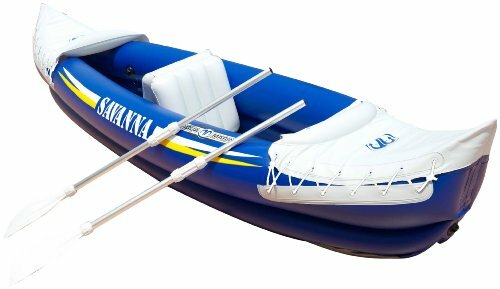 Learn more about these products to decide which is the best inflatable canoe for you!